I'm terribly sorry for the (fashionably) late arrival of the third post of Fashion February. I am currently on my last day of mid-term break ;( and this week has flashed by like a blur. I had a nice time with friends and family, but frustratingly didn't keep up to date with my blog. 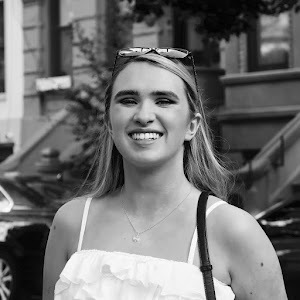 I hope you didn't mind; my blog isn't my first priority, as much as I'd like it to be. 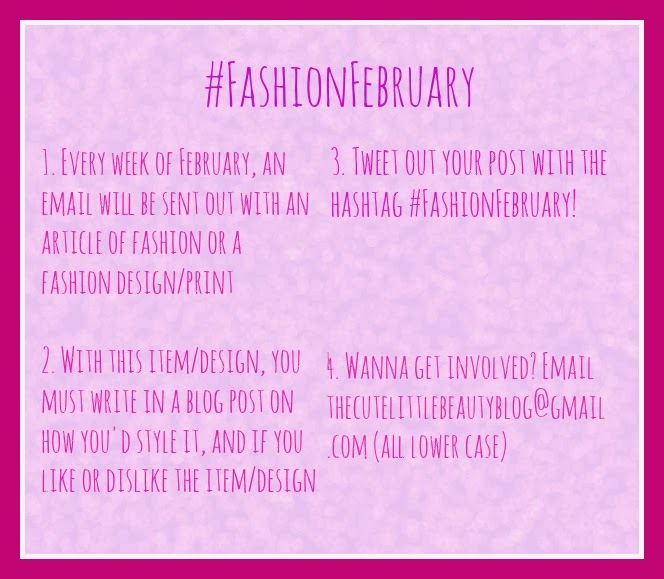 (Again, you can find information on Fashion February if you click the picture at the end). This week's topic is the one and only tartan. I own very little tartan in my wardrobe, but it is a fashion piece that I drool over in magazines (well I don't actually drool, that's a bit disgusting). Tartan was a huge A/W '13 trend and it stormed the catwalks, but just because it was last season's top design, doesn't mean you can't welcome it into your wardrobe this spring. Usually spring is all about light shades and flowers. However, if you're into breaking the trends, then wear tartan. It's a fabulous way of welcoming some grunge, rocker chic into your closet. I only like tartan because I am not a huge fan of 'smells like teen spirit' looks. I'm talking about myself wearing the pattern though; I do like the style when models or other fashion bloggers wear it. But I just don't think tartan is for me. I did have one grunge-y OOTD back in October, and I thought it was fun to try out and I love that shirt (which isn't exactly tartan, but is close to it), but right now I'm only thinking pastels and bright colours while I'm anticipating for warmer weather (I'm sick of cold weather now!). If I wore tartan, then I would style the statement piece (refer to the collage above) with simple accessories, mostly black and gold. Keep the punk vibe with spikey bracelets and bandanas, and don't forget to top off the look with red lipstick. You can buy tartan in any high-street shop (Topshop, Forever 21) but you most likely won't find any this time of year. Keep a look out on future A/W '14 fashion shows to see if tartan will stay stylish for you to buy after summer, but if you already own some, then rock it now if you want to! My blog and I won't be concentrating on dark, vampy looks these next few months though; we'll be busy seeing what S/S '14 has to offer. See you on during the week for... an OOTW! Comment below what you think of tartan!